The 4G LTE-enabled Gear S3 Classic smartwatch will soon be available via AT&T, T-Mobile, and Verizon Wireless. Availability and pricing depend on each wireless carrier and should be unveiled soon. Samsung Gear S3 Classic has been around for a while without offering 4G LTE connectivity, but now those days are almost gone. Samsung Electronics America, Inc. announced earlier today the imminent arrival of the 4G LTE-enabled Gear S3 Classic smartwatch. According to the official press release, "The LTE version of the Gear S3 classic will be available from AT&T, T-Mobile and Verizon." This smartwatch will offer one-number solutions so calls can be made without having to use a new phone number for the wearable - a feature supported by all three carriers mentioned above. The usual features of the non-LTE Gear S3 Classic are all present, including the fitness tracking capabilities. 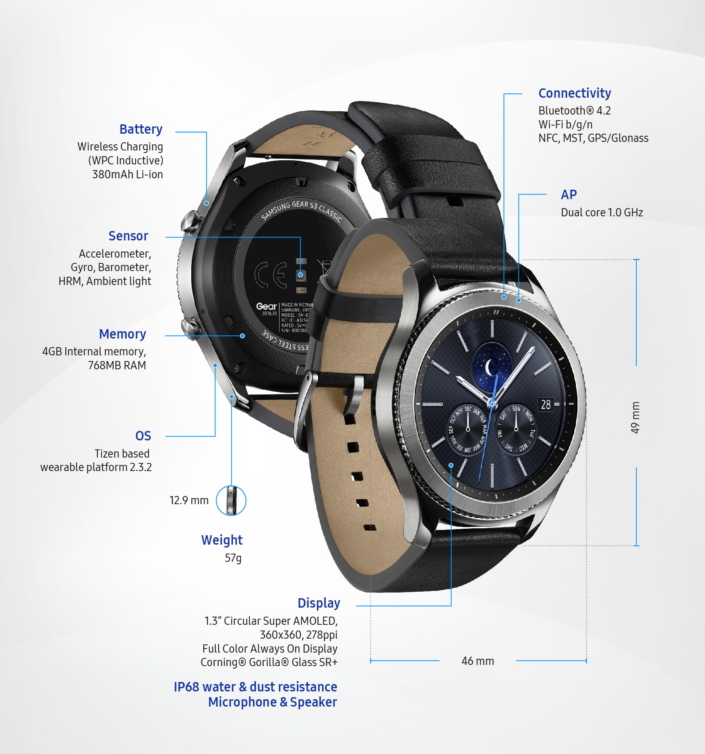 Samsung Gear S3 Classic LTE comes with full Samsung Pay support and is expected to carry a price similar to the 4G LTE-enabled, $399 USD Gear S3 Frontier. Starting today, Samsung takes part at the Baselworld 2017 trade show, where the company has three concept watches based on the Gear S3 on display.